"Last year was very positive for Kia in Europe as we achieved record figures forvehicle and engine production," said Eek-Hee Lee, President and CEO of Kia Motors Slovakia. "Our focus for 2012 is on embedding a regular three-shift operation so we can reach full plant capacity within the first quarter of the year, and then make preparations for volume production of the all-new Kia cee'd, which will be revealed at the Geneva Motor Show in March," he added. 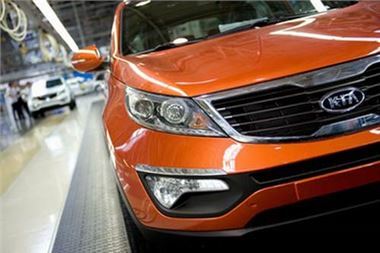 Kia Motors Slovakia exports vehicles to the whole of Europe. The main export markets in 2011 were as follows: 23 per cent of total production output was delivered to Russia, 10 per cent to Great Britain, 9 per cent to Germany, 8 per cent to Spain and 5 per cent to France. The Kia cee'd family accounted for 41 per cent of production at Zilina in 2011, just ahead of the Sportage compact SUV on 40 per cent.